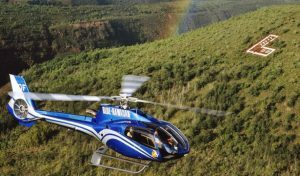 There’s nothing like viewing our beautiful island on Maui helicopter tours. Enjoy a flight over the lush West Maui Mountains, home of the Wall of Tears over 17 waterfalls flowing at once. Experience whale watching from the sky as you cross the Pailolo Channel to discover Hawaii’s tallest waterfalls along Molokai’s remote and isolated north shore. We offer a variety of helicopter tours for varied time lengths and prices to fit nearly any budget. Prices start at $200.00 for a 30-minute flight.